Sharks centre Jeremy Ward has received a five-week suspension for a dangerous off-the-ball tackle on Vodacom Bulls wing Rosko Specman. 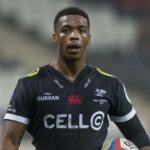 Sharks centre Jeremy Ward has been cited for foul play following their 37-14 loss to the Vodacom Bulls in Pretoria on Saturday. 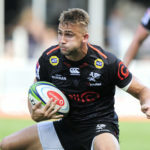 Centre Jeremy Ward says the Sharks have been working on their defensive shape ahead of Saturday’s semi-final challenge against a Bok-laden Golden Lions side. The Sharks capped off their preparations for the Currie Cup with a 19-17 win against Bordeaux in Durban on Friday.